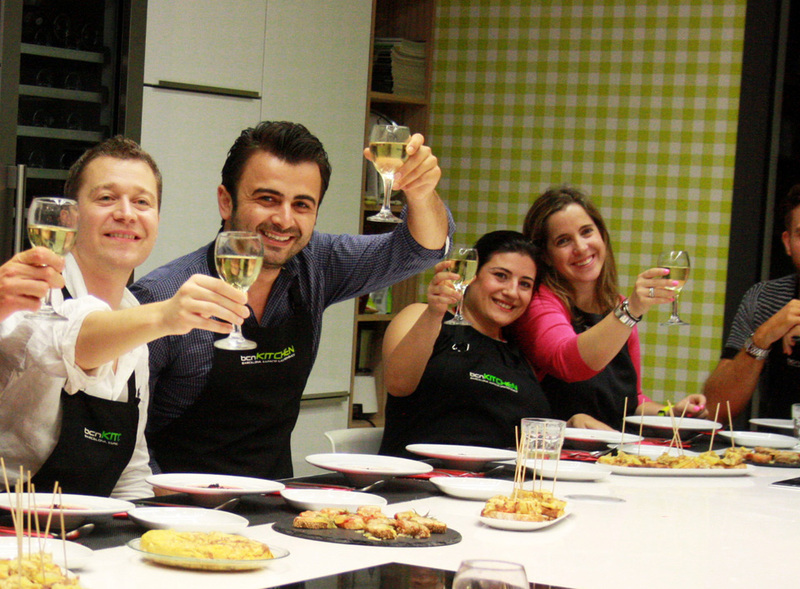 At bcnKITCHEN we think that the best way to connect with a culture is through its food! If you are looking for a way to delve into Spanish culture and gastronomy… We have exactly what you are looking for! At bcnKITCHEN you will be learning the secrets of Spanish cuisine from a local chef who will not only assist you but also teach you the secrets to a great gazpacho or the perfect paella. 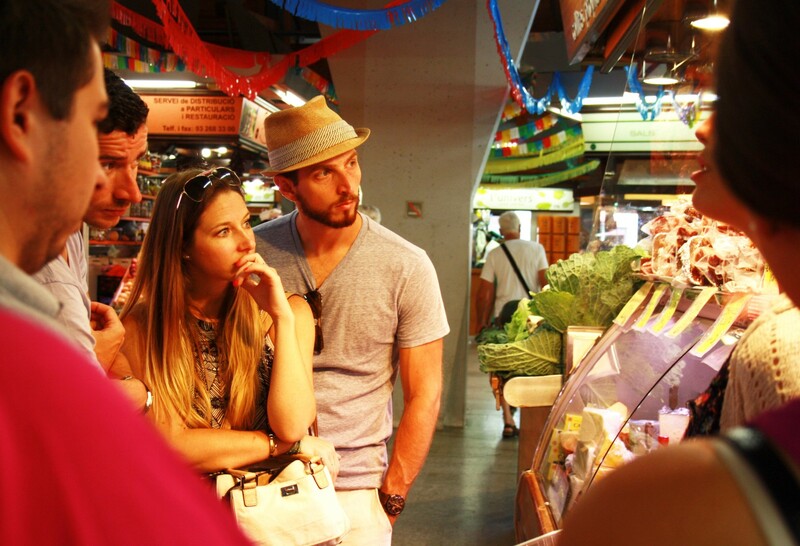 Your lesson will start as most cooking sessions should, with a stroll to the market, where you will walk around learning about the fruits and vegetables in season, the hidden gems of Spanish gastronomy and the secrets to choosing the freshest fish. You will meet our suppliers and help buy the freshest ingredients that you will be using during your cooking workshop. Once back in the kitchen, aprons on, groceries bought and a glass of wine in your hand, your chef will introduce each dish and explain each step. Before you know it you’ll be elbow deep in the experience, cutting, toasting, frying and rubbing, the aromas will start to wake up your appetite and transport you to the heart of the Mediterranean… The garlic, the tomato, the paella… bringing you closer to the Spanish way of life that inevitably always involves gathering around food and wine. As soon as everything is done you will sit around the table as a Spanish family would, enjoying the taste of Spain, the heavenly combination of vegetables of the Andalusian gazpacho, the strong flavors of a toasted paella and the simple pleasure of the texture of our “crema catalana”. A trip down the east coast of Spain that you will remember and treasure as part of your Spanish experience!